Combining the leftover parts of the conventional griffin- head and front legs of a lion, eagle’s back half (minus the wings)- the Reverse Griffin is a proud and profoundly insecure beast. Due to its extreme front-heaviness, it has a tendency to fall on its face while pursuing prey. 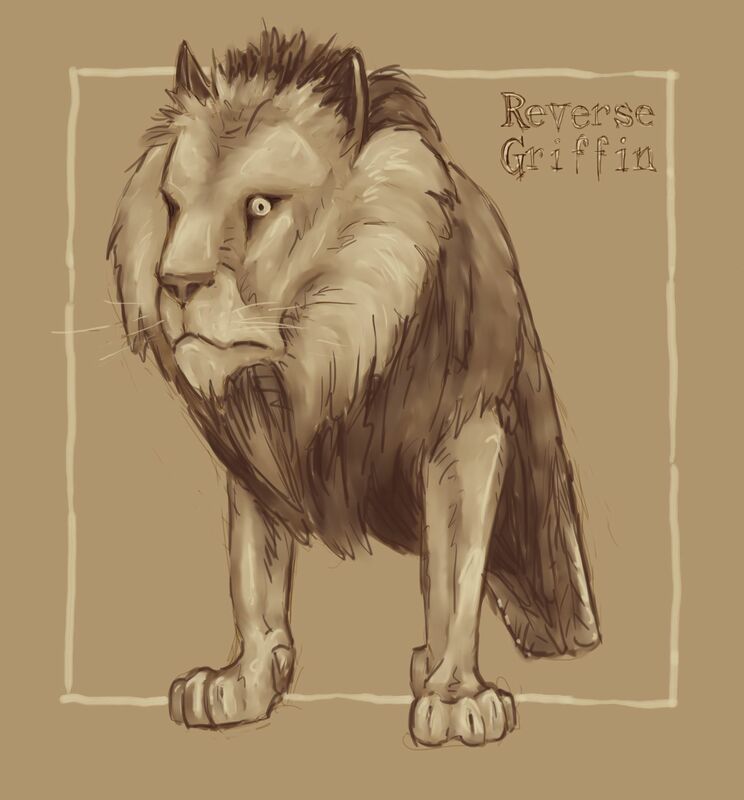 Nonetheless, mocking the reverse griffin is not advised.